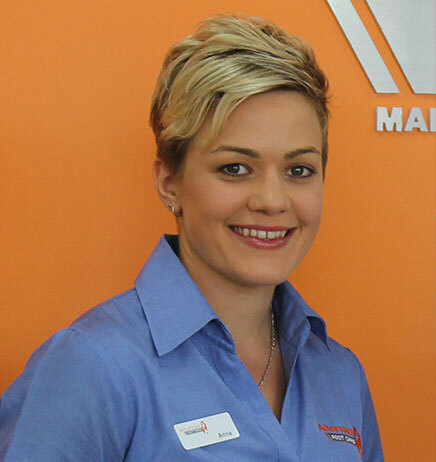 Anna joined the practice in January 2014 after completing placement in our Bundaberg clinic. Anna grew up in the Bundaberg/Burnett region and moved to study at QUT in Brisbane before returning to work in the Bundaberg region. Anna has a keen interest in Biomechanics and sports related podiatry and has been a great addition to the team. Anna has a passion for health and fitness and actively gets involved in the community. Daniel has a strong interest in sports based Podiatry. He has previously worked in Geelong with recreational athletes through to full time professional triathlete's. He is a passionate about developing holistic treatment plans to promote overall health and wellbeing for long term outcomes.Daniel has post-graduate training in foot and ankle mobilisation, lower limb strength and conditioning and running technique analysis. Daniel also has extensive experience in managing people with Diabetes following his time in charge of the Podiatry department at Swan Hill Hospital and working with the Charles Gardiner Hospital in Perth. This role focused largely on foot ulcer management and saw him working alongside a vascular surgeon, infectious disease specialist and wound care nurses to help prevent lower limb amputations. Away from work Daniel enjoys recreational running and completed his first marathon in 2015. He also enjoys playing a variety of sports including cricket, where he spent a season playing and coaching in the UK in 2012. Podiatrist William Delahunty joined our Hervey Bay clinic moving from Newcastle area. 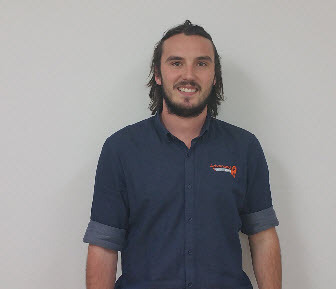 William has a passion for Sports Podiatry and Biomechanics and is a passionate AFL and basketball player. William has previously played representative AFL and Basketball for the central coast and Hunter region. Also previously been selected to play for the Sydney Swans AFL reserve grade side. Being a passionate sports fan William has been involved with coaching school and representative basketball teams. Ebony joined the Advanced Foot Care practice in 2016. 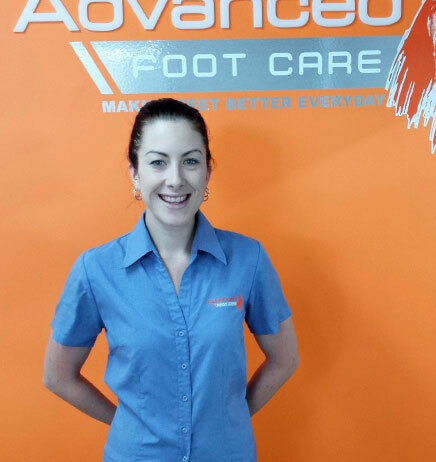 Ebony completed here podiatry degree from QUT in Brisbane in 2005. 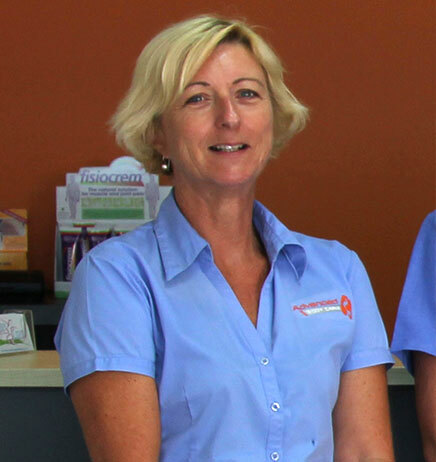 Since there she went on to further her career at one of Brisbane's premier podiatry and footwear clinics eventually becoming footwear and operations manager. Ebony has a passion for footwear and admin/reception side of the Advanced Foot Care practice and you will often see her helping out the front. Jason Larkin is the Founding podiatrist and Director of Advanced Foot Care. Jason began his study in Sport and Exercise Science after leaving school but soon found a keen interest in the science of running and lower limb biomechanics. Jason went on to study at QUT in Brisbane, Queensland, a well renowned Podiatry School, where he completed his Degree in Podiatry. 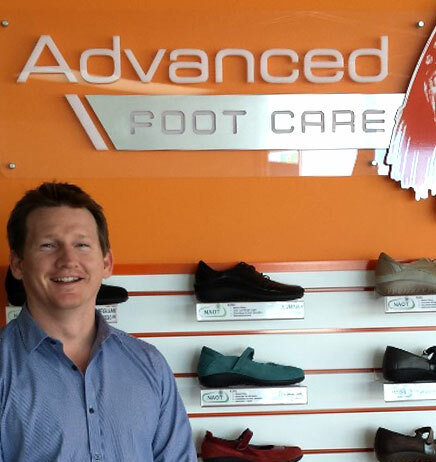 In 2008 after working in the industry for a number of years Jason founded the first Advanced Foot Care clinic in Hervey Bay, which is a clinic set up with state of the art Biomechanical lab using the some of the latest gait analysis equipment to deal with lower limb biomechanics and problems. Throughout this time Jason has kept a keen interest in latest developments in practices and treatments used in lower limb treatment. These include Dr Paul Conneely's Advanced musculoskeletal training workshops and Dry Needling and trigger point techniques. As well as these Jason also continually attends conferences and seminars across Australia and is trained in acupuncture techniques and biometric assessment. Sondra is the Wide Bay area Practice Manager. 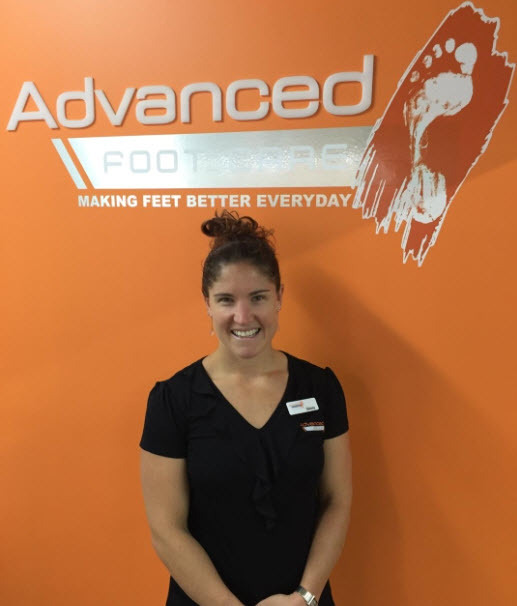 With her background in Business/Accounting, Allied Health Assistance training and footwear fitting Sondra and the Admin team work to make sure every client of Advanced Foot Care gets great service throughout their visit to the practice. Diane, Hayley and Lynn are our friendly faces that greet you at the door with a friendly smile. With over 2 decades of experience between the Admin team they can find you an appointment for your needs and are trained in Footwear fittings for our range of footwear.